Your landing page is the final destination and work as deal closer to your campaign. You have to put enough efforts and energy till it starts generating satisfactory conversions and ROI. In our last post “integrating A/B experiments in PPC”, we mentioned to test your landing page as well for better results. 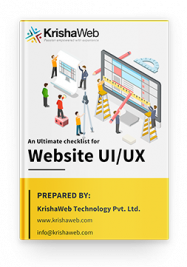 Today, we are going to explore certain options that can help in creating a better landing page. 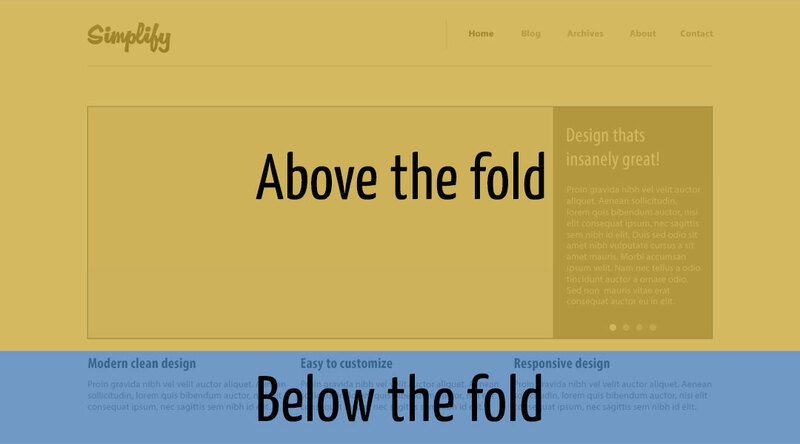 Above the fold is the section of your website which is visible without scrolling when landing page loads in the browser. The space above the fold section has to be utilized very carefully and creatively keep in mind your campaign goals and objectives. As above the fold section is going to load first, any element presenter in your above the fold section should truly engage your visitors and encourage them to learn more about the services you are offering. Also, if possible, try to avoid high resolution images or video in above the fold section, as it may become real obstacles in page speed and you may lose visitor’s interest. Try to integrate elements that represent unique customer value propositions that your business offers and interactive elements that brings visitors closer to deal with your website. Designing landing page isn’t just about adding eye catchy elements and creative sales pitch, the context of the landing page must match with your marketing campaigns. Let’s say you have shoes store and promoting the various brand’s of shoes and also set-up an ad group for each brand. Now, instead of setting up a generic landing page that has a shoe of all brands which users need to filter, try to set a filtered page that is associated with each brand. This will reduce one step in conversion path and help you to present personalize products associated with each ad group. The more personalized and themed your landing page is, the chances are higher to generate more leads. It’s one of the most common mistakes, marketers make while creating a landing page. Due to the trend of squeeze pages in affiliate marketing, lots of people are depending on the similar style and structure for PPC landing page as well. There is no doubt that squeeze pages are one of the factors behind the success of affiliate marketing, especially in case of digital products, but when it comes to selling products or services that require good investment, depending on squeeze pages isn’t a good idea. So, instead of using some sort of web application or tools to create your landing pages, hire a professional graphic designer to convey your marketing message and use high quality graphics that don’t look like squeeze pages. Each and every small to big element of your landing page must have a professional look and should contribute in bringing more engagement with your visitors. Especially in the service industry, it is necessary to create pages for each individual service with content personalized to that specific service. 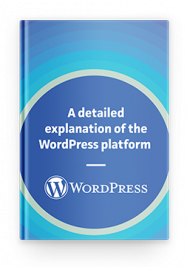 In our previous blog, “it’s all about tracking”, we have explained how you can and how you should track the different elements of a landing page. Once you figure out the right design and structure of your landing page, don’t forget to track all the elements you can. Once you have enough data into your analytic tool for your landing page, you should be able to conclude the performance with the help of real statistic on total conversions received and that way concludes the performance of the landing page in terms of ROI.